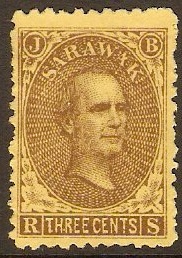 Sarawak 1869 3c Brown on yellow. SG1. Unmounted mint 1869 3c Brown on yellow. SG1. Without gum version. 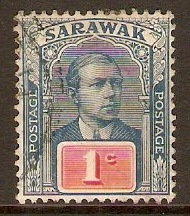 Sarawak 1875 Mauve on lilac. SG3. Unmounted mint 1875 Mauve on lilac. SG3. Without gum version. 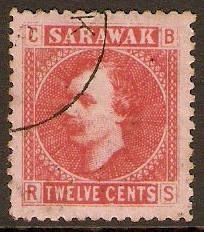 Sarawak 1875 12c Red on pale rose. SG7. 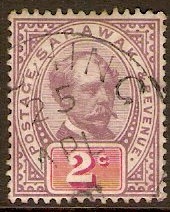 Fine used 1875 12c Red on pale rose. SG7. Portrait of Sir Charles Brooke. 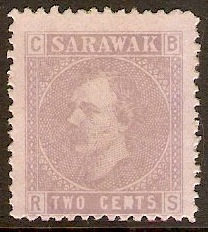 Sarawak 1888 2c Purple and carmine. SG9. Fine used 1888 2c Purple and carmine. SG9. 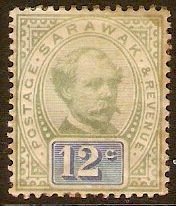 Sarawak 1888 12c green and blue. SG16. Mounted mint 1888 12c green and blue. SG16. 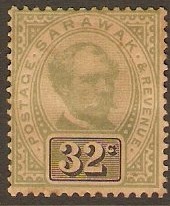 Sarawak 1888 32c green and black. SG19. Mounted mint 1888 32c green and black. SG19. Stamp has some yellowing on edges. 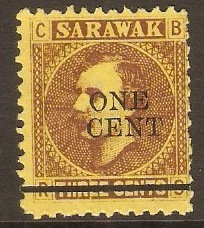 Sarawak 1892 1c on 3c Brown on yellow. SG27. Unused 1892 1c on 3c Brown on yellow. SG27. No gum. 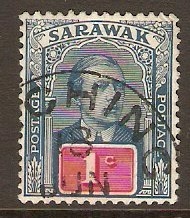 Sarawak 1918 1c Dull blue and carmine. SG50a. Fine used 1918 1c Dull blue and carmine. SG50a. 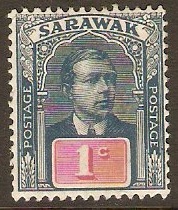 Sarawak 1918 1c Slate-blue and red. SG50. Heavy mounted mint 1918 1c Slate-blue and red. SG50. No watermark. Fine used 1918 1c Slate-blue and red. SG50.